I can’t help myself. I own this movie. Have owned it for years, but every time it comes on television, I’m compelled to watch it. 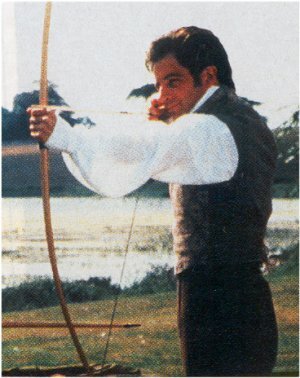 I can recite the whole thing, but I absolutely adore Jeremy Northam. He looks good in all his incarnations, but he’s especially dashing as Mr. Knightley. The cravat, the white shirt, and the breeches- come on, who can’t appreciate those? AND our lovely Mr. Northam has a big birthday next week- He’ll be 50 on the 1st, so happy early birthday to him. All the actors in the movie are wonderful and I am so drawn to this film, it’s crazy. I’m watching it now for the eleventy-millionth time. I love it. I’ll admit I haven’t watched as many of these movies as you have, but I do like them when I happen to catch them on television. I’m glad you like them. And it’s good you aren’t obsessed like me. It’s a disease. But you knew that already, didn’t you, Gill? Great way to look at it, Laurie. I don’t ever just watch tv- I usually am writing or reading at the same time.